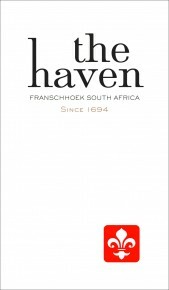 The Haven is a Bordeaux-style blend of Cabernet Sauvignon, Merlot, Cabernet Franc and a small quantity of Petit Verdot (percentages vary slightly from vintage to vintage) raised for 24 months in 50% new French oak. It has a dense, slightly introspective bouquet with dusky blackberry and raspberry fruit. The palate is medium-bodied with succulent, ripe tannins, fine acidity and a sensual, tarry finish that lingers nicely in the mouth. A very nice wine at a very attractive price. The components of this Bordeaux blend are picked at optimal ripeness and harvested separately. The components are vinified and matured separately. Barrel selection for the blend occured after 24 months of maturation of the individual components in French oak. 50% new.